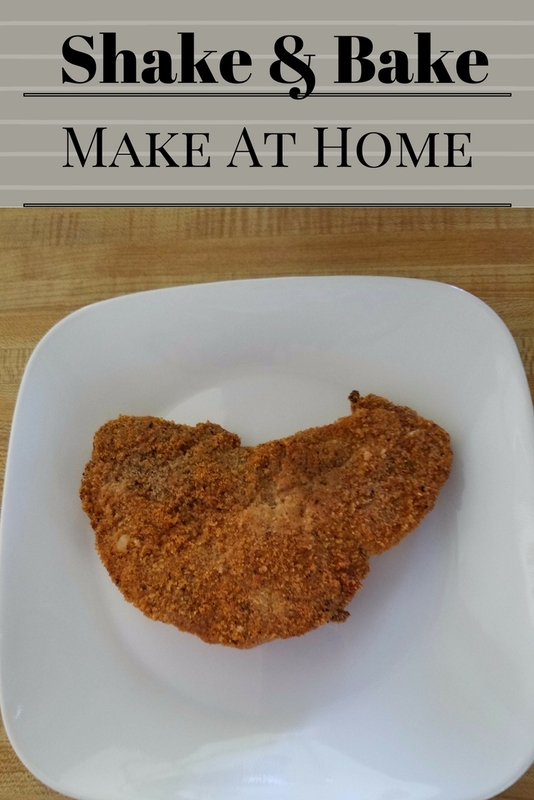 I was in a pinch one night trying to figure out what I was going to do with some pork chops, I was asked to Shake and Bake them but I was out of the store bought product. What is one to do? the only think I came up with was to make my own mixture. Mix all ingredients in a large bowl until evenly mixed and the bread crumbs are no longer 'clumpy' from the oil. Preheat the oven to 425F. Dump some of the shake n bake mix in a large Ziploc bag. Rinse pork chops in cold running water. Let excess water drain off. Place pork chops 1 at a time in the bowl with the shake n bake. Place on a broiler pan with the bottom lined with aluminum foil. Preheat the oven to 400F. Dump some of the shake n bake mix in a large Ziploc bag. Rinse chicken in cold running water. Let excess water drain off. Place chicken, one piece at a time, in the bag with the shake n bake. Place on a broiler pan with the bottom lined with aluminum foil. Bone-in chicken - Bake for 45 minutes.